Hi, I’m Robert Bone, and I’m a professional magician and mind-reader. 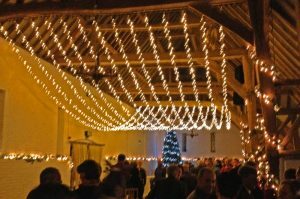 Christmas is a fantastic time, with lots of parties and hospitality events. 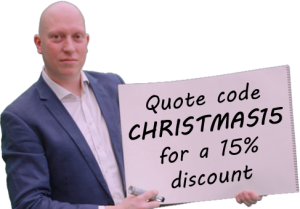 This is a great way to say ‘thank you’ to your staff for the hard work they’ve been putting in for the last year, and to thank your clients for the business they have put your way. 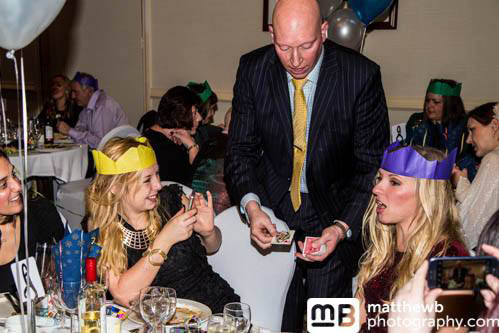 Performing close-up magic is a great way to help enliven the party and create talking points. This may be at the start of the evening when I can mix around the groups performing close-up magic at a drinks reception. Another option is to have the magic performed around the tables. This can sometimes be an awkward point in the evening as your guests may have run out of conversation (or worse still: be talking shop!) but until the disco kicks and they can mingle with other guests. 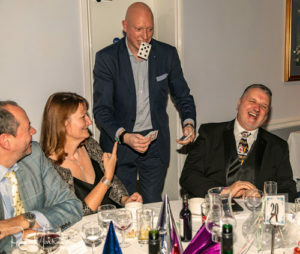 I also perform a stand-up magic and mind reading cabaret show that has been specifically produced for corporate audiences. This can be booked separately or as part of a package with close-up magic. Another important date of the Festive season is New Year’s Eve, and I can be booked to entertain at your New Year’s Eve celebrations. After all the festivities through-out December you really need to add something to your party, otherwise it can be another year of drinking and “Auld Lang Syne”! 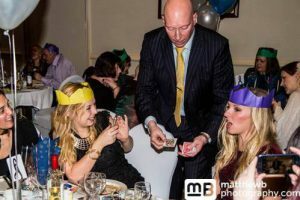 As a professional magician December is a very busy month and I often takes bookings for some dates over a year in advance, so don’t wait until a couple of weeks ahead. Please do contact me whatever time of year it is to add some magic to your Christmas party. 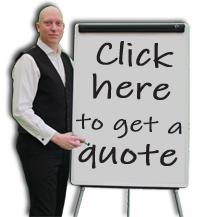 Complete the request a quote form, email or call 07930 420 257.